Demonstrate Water Physics to Preschool Children: Make an Egg Float! predicting, observing and recording data with this easy preschool salt water experiment. Before the lesson prepare two prediction charts. At the top of one chart write "Will an egg sink or float in plain water?" At the top of the other write "Will an egg sink or float in salt water?" On each chart make two columns – one labeled "Sink" and the other labeled "Float." Then write each child's name on two egg shaped pieces of paper unless they can do it themselves. Collect the items that you need for the experiment and place them on a table. Show the children the egg and ask them to predict what will happen if you put it in a bowl of tap water. Will it sink or float? Let several children tell you what they think. Show the class the chart that you made for plain water and have each child make a prediction. Glue or tape an egg shape with each child's in the column that matches his prediction. Then ask the children what they think will happen if you put an egg in salt water and follow the same procedure for making predictions. If you are doing this experiment as part of an ocean theme remind the children that oceans are made of salt water. Fill two bowls with warm tap water. Then add salt to one bowl – about four tablespoons for two cups of water. Stir the water until the salt dissolves. Have the children watch as you carefully drop an egg into the bowl filled with tap water. Ask them what happened. Its sinks. Then carefully drop the egg into the bowl filled with salt water and discuss what happened. Explain to the children that the salt makes the water denser or heavier and that makes the egg float. If your students have science notebooks, you can let them draw a picture of what happened in the experiment. As an extension you can bring in other items to put in both the salt and tap water to see if they sink or float. Try a golf ball, an apple and a bar of soap and let the children predict what will happen based on the original experiment. Leave the bowls of water in your science center along with the new items and let the children explore sinking and floating with them. This simple experiment is a great way to introduce your students to the wonders of science. 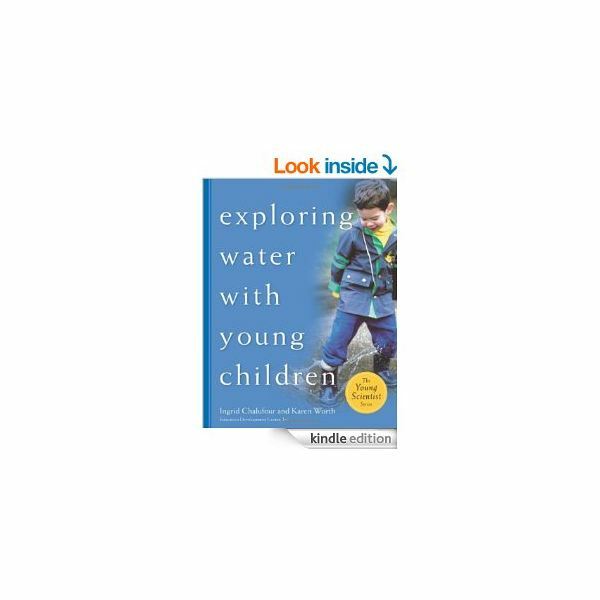 You can look for more ideas in Exploring Water With Young Children by Chalufour and Worth, and also check out additional preschool water activities on Bright Hub Education.